Office Space - Newent, Gloucestershire. 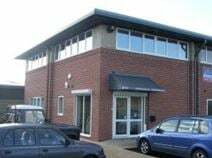 Priding itself on flexibility, this rental office is provided either on a short or long term lease. It is also available either furnished or unfurnished as to cater the different occupier needs. The design is open plan with a collection of office units situated together with a fully-equipped kitchenette. Local amenities (shops, banks, post office, restaurants, and cafés) can be found in the vicinity and the office is also within easy reach of public transport options.